Subscription service provides 24/7 news alerts and competitive news tracking and reporting. We're excited to team with Brandweek to deliver this critically important capability to brand marketers as a convenient, web-based subscription service. Brandweek , the leading source of news and information in the U.S. marketing industry, and Vocus, Inc. (NASDAQ:VOCS), a leading provider of on-demand software for corporate communications and public relations, today announced the launch of BrandTracker™, a web-based subscription service that enables brand marketers to track and analyze news related to their business, products, brands, and competitors. The service provides 24/7 news monitoring of more than 25,000 news sources; customized e-mail alerts of breaking news; and a robust suite of analytical charts and graphs. 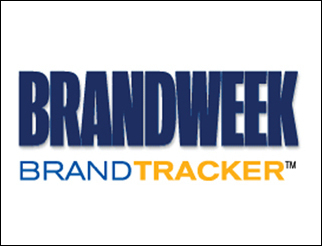 BrandTracker™ is accessed via the Brandweek.com home page. "In today's digital media environment, breaking news can spread across the globe and affect a brand's reputation in minutes," said Thomas P. Woerner, Publisher of Brandweek. "By providing marketers with Vocus' industry-leading news monitoring and analysis technology, we are giving them access to reporting tools they need to analyze and understand the potential impact of that news on their brands and their competitors". The BrandTracker™ service combines Vocus News-On-Demand, a premium news monitoring service that monitors more than 25,000 print, broadcast and online news sources, with a simplified version of Vocus Analytics, a web-based suite of charts and graphical reports that analyze the volume, frequency, impact, mindshare and geographic distribution of news about a company and its brands and those of its competitors. Available as an optional feature are profiles of the media outlets in which one's new coverage appears. "Vocus News-On-Demand and Vocus Analytics helps thousands of executives at companies throughout the world to understand how they and their competitors are positioned in the news," said Matthew Siegal, Vice President of Business Development of Vocus, Inc. "We're excited to team with Brandweek to deliver this critically important capability to brand marketers as a convenient, web-based subscription service." BrandTracker™ can be purchased by credit card on the BrandTracker web site as a monthly or annual subscription. There are three levels of service available starting at $295 per month. A no-obligation free trial is also available on the web site. Brandweek is the leading source of news and information for the U.S. marketing industry and the only trade magazine to offer saturation coverage at all levels of the brand-activation process. Brandweek, Brandweek.com and Brandweek's e-mail newsletter products provide marketers with valuable competitive information and insights for bringing new products and ideas to the global marketplace. Brandweek is published by VNU Business Publications USA, a part of VNU Business Media. VNU Business Media operates around the globe, covering some of the most powerful industries in the world, including entertainment, media, marketing, music, literary, retail, travel, professional performance, real estate and design, and visual arts.